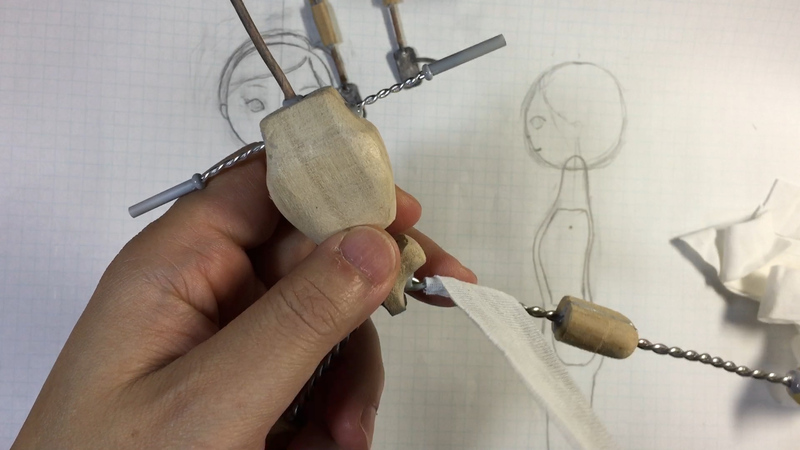 It is a puppet made from wooden core and wire (aluminum wire and a wire fuse). There is a wire in the eyes. And you can move eye balls with magnet. Make 2 cores, breast and hip. 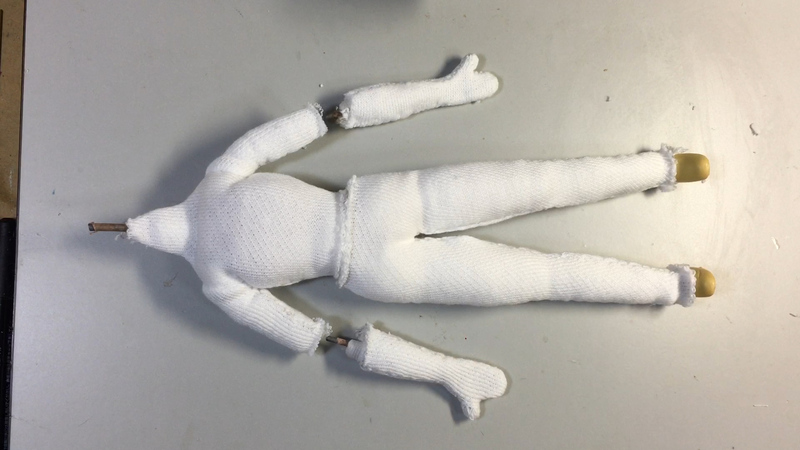 The shape is decided from design of puppet. 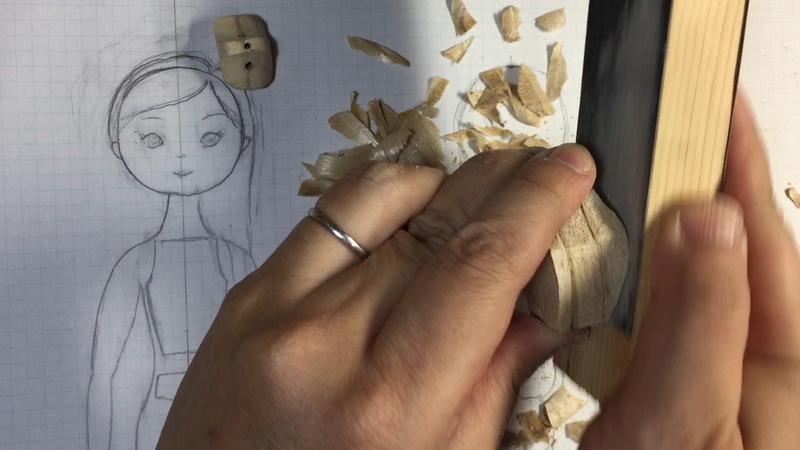 Cut a wood(thickness is 1 cm) and bond them with wood glue. 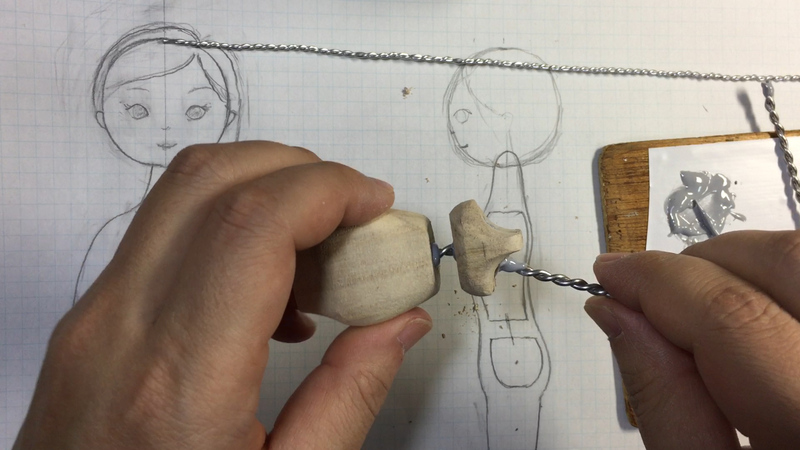 Open a hole with a diameter of 3 mm to neck, arm, waist and leg. Shape the cores with a rasp. 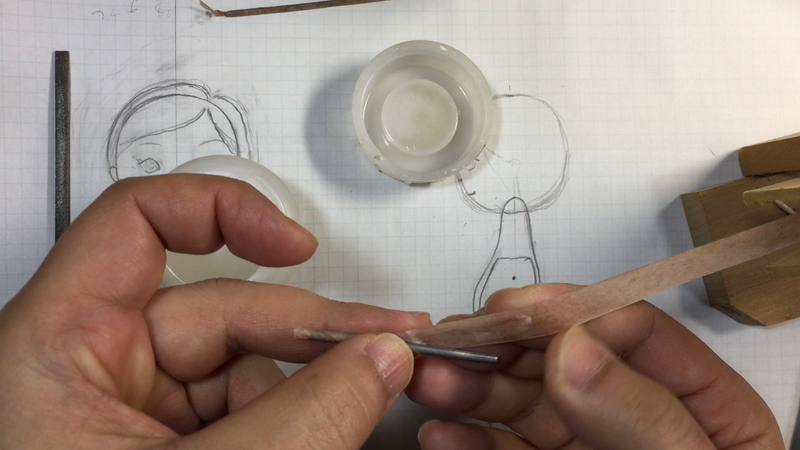 I use 1 mm twisted aluminum wire to the upper arm and 2 mm twisted aluminum wire to the waist and leg. I use a 30A wire fuse to the neck and 20A wire fuse to the lower arm. 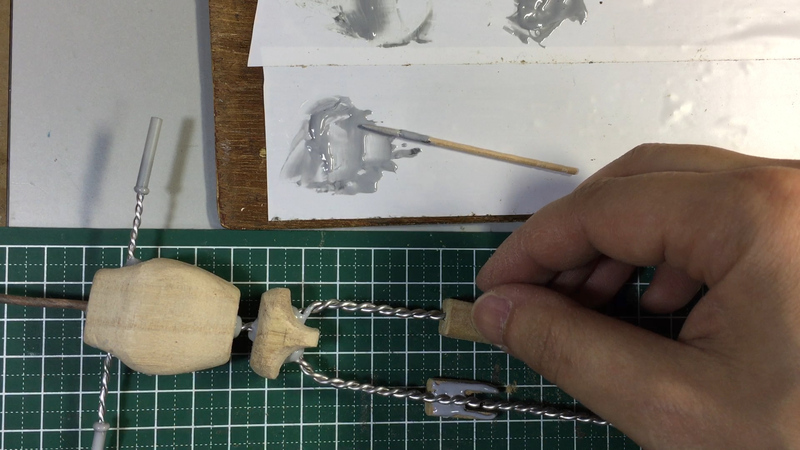 The wire fuse is covered with a paper painted wood glue. Cut a MDF into shoe sole shape. 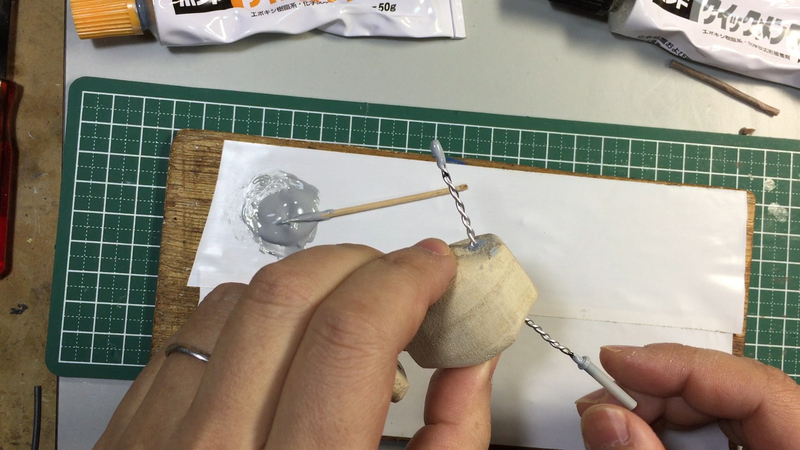 And make a foot with sculpey( polymer clay). Bake the foot for 20 minutes at 110 degrees in the oven range. And put OYUMARU into a hot water. 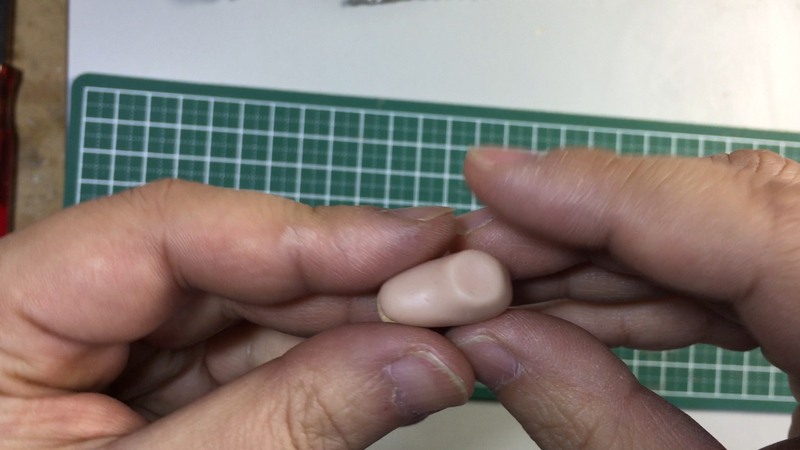 And press OYUMARU to the sculpey and make a mold of foot. 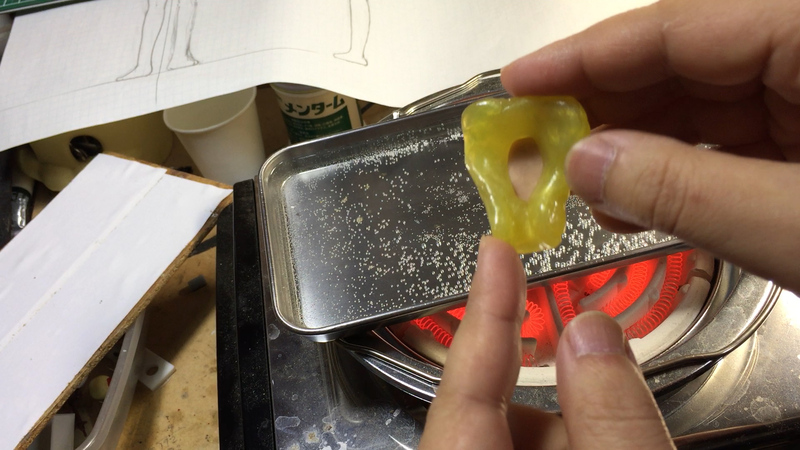 Cut off the unnecessary part and put epoxy putty into the mold. 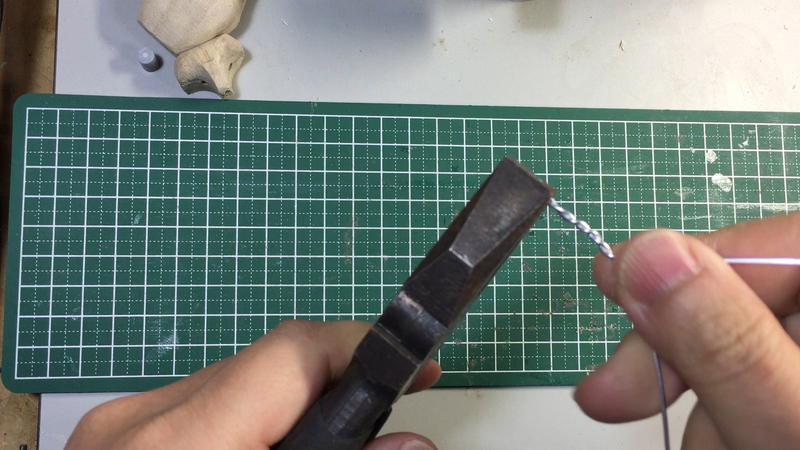 Make 2 foots and open the hole with a diameter of 3 mm. Cut the wires. And adhere the wires to core using epoxy-based adhesive. Cut a plastic pipe. And adhere to the upper arm using epoxy-based adhesive. This pipe is parts for jointing lower arms. 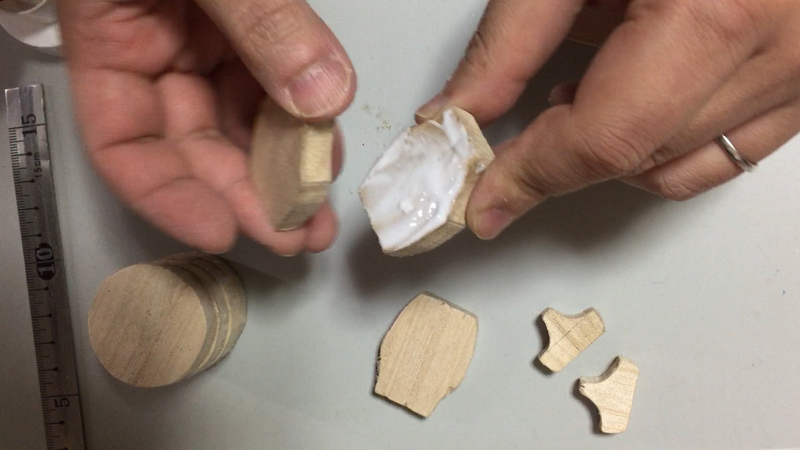 Make a knee with MDF. 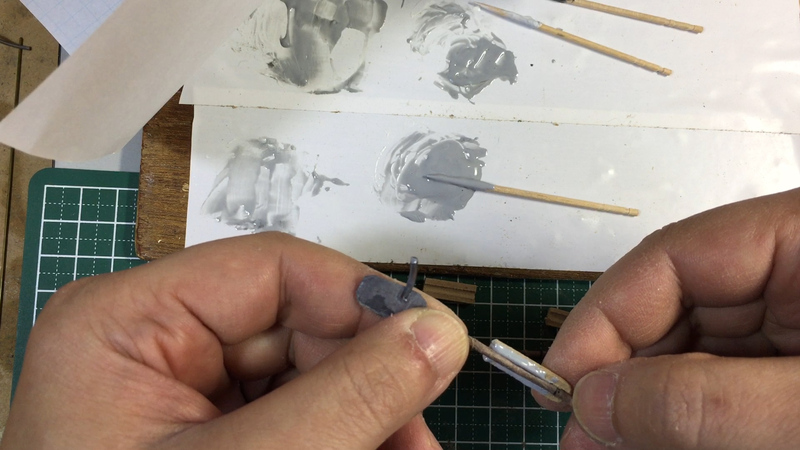 Adhere to the leg using epoxy-based adhesive. 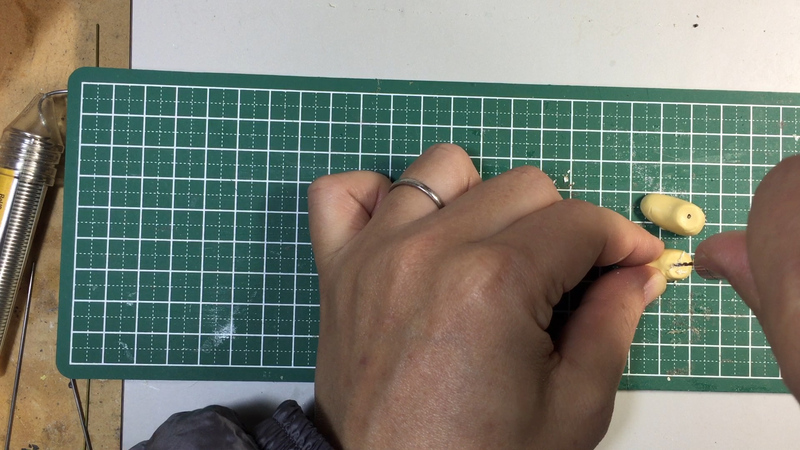 Cut a lead plate into shapeof palm. 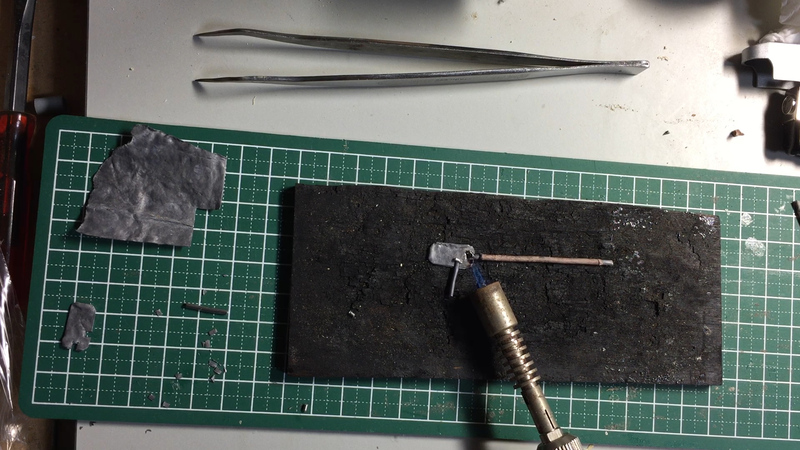 And solder a lower arm(wire fuse) and lead plate and a wire fuse(thumb). 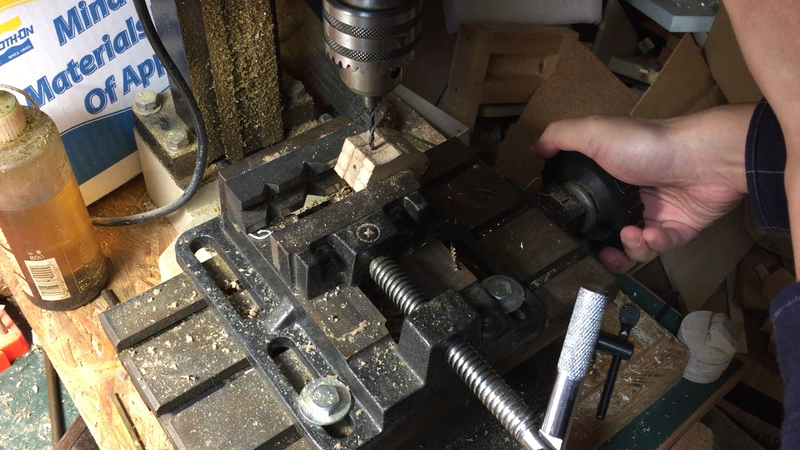 Make a elbow with MDF. Adhere to the lower arm using epoxy-based adhesive. 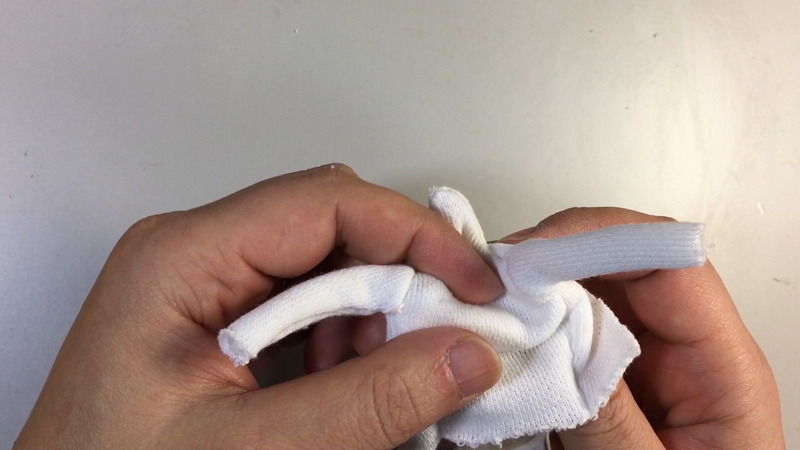 Cut a cloth into strips and apply bond to the end of the cloth. And tie the cloth round wires tightly. 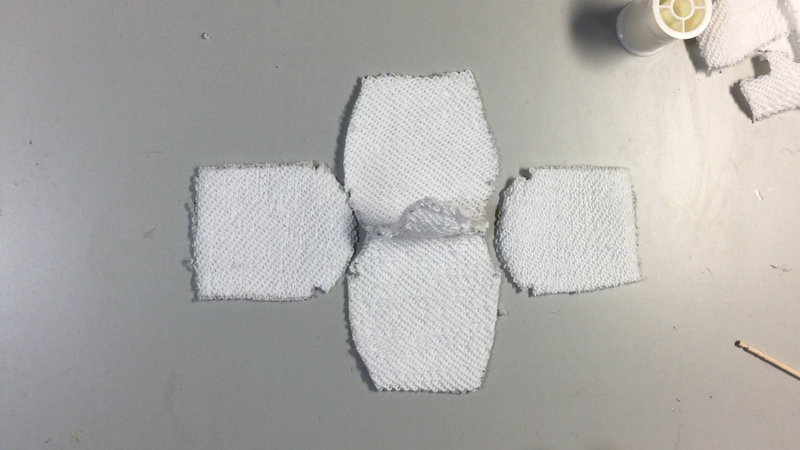 Cut cosmetic sponge and glue to shoulder, waist and hip with bond. 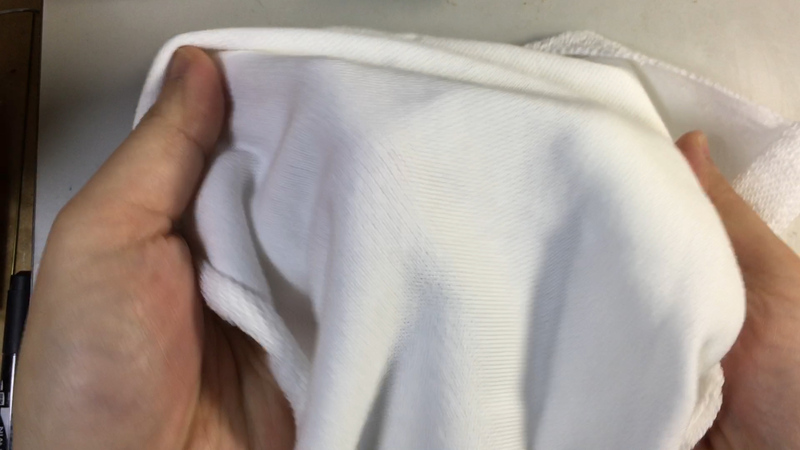 Make a cloth used to cover the body. 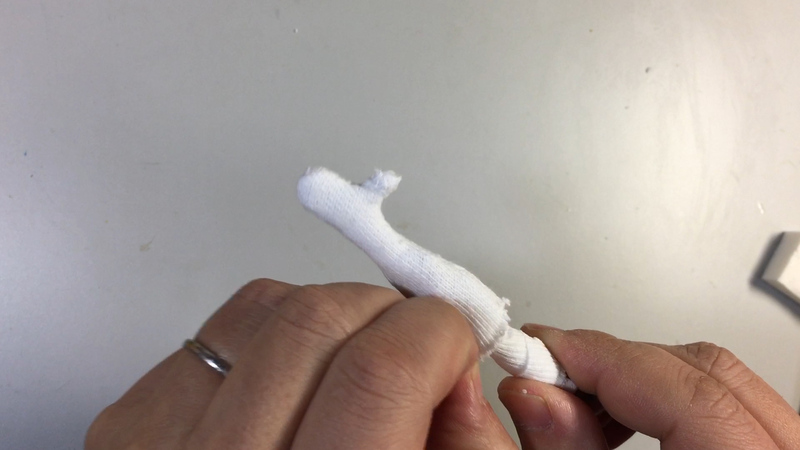 You should use the cloth stretches easily like a knit. 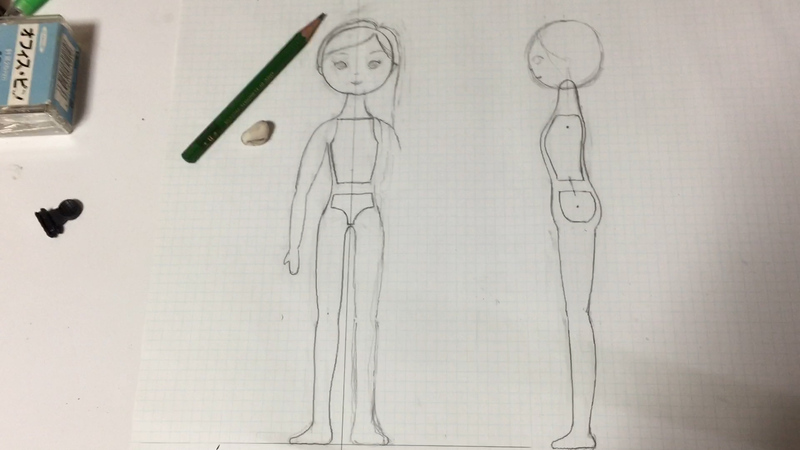 make a dress pattern. It consist of 3 parts the upper body,lower body and lower arm. Cut the knit and sew them. cover the body with knit. 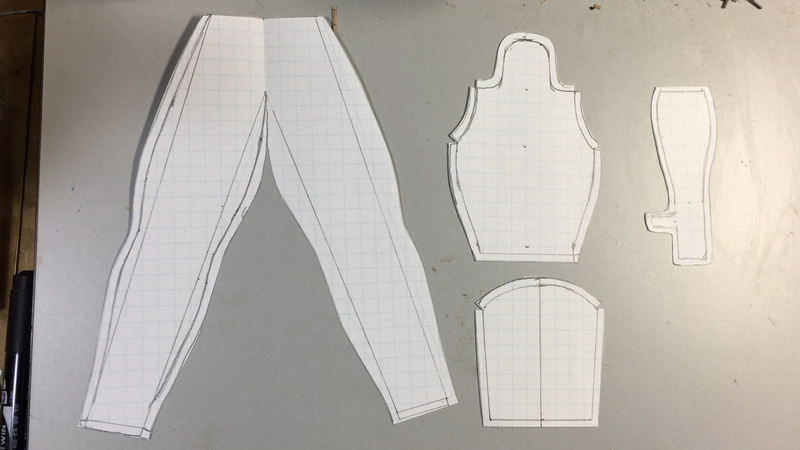 It maybe need revising the shape of a dress pattern until fitting the body. Cover the lower arms like a body. 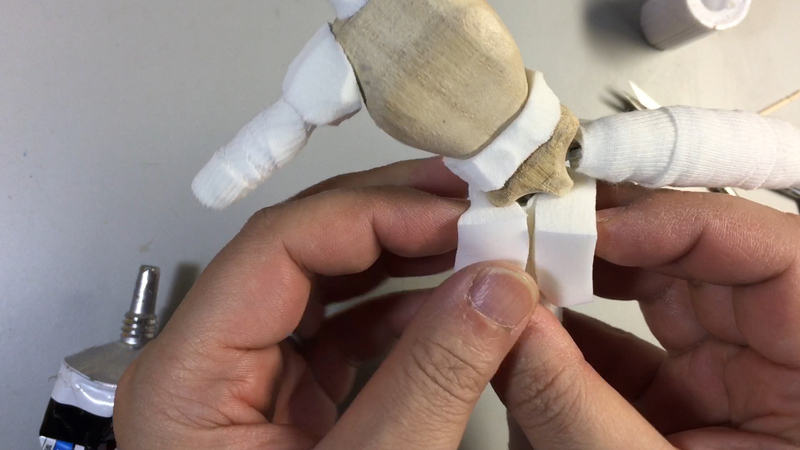 Adhere lower arms to the body using epoxy-based adhesive.